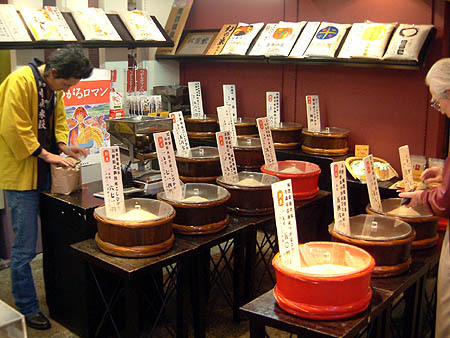 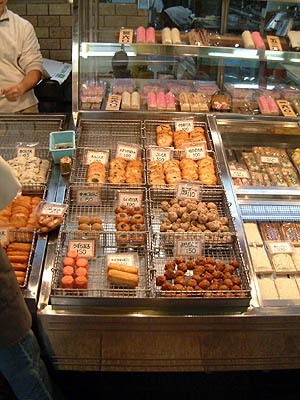 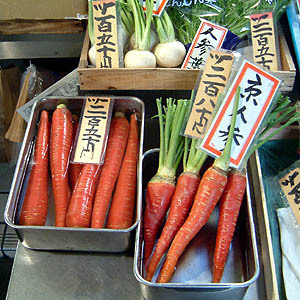 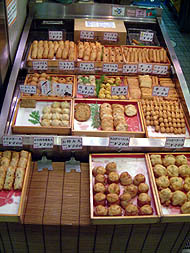 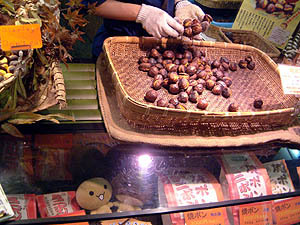 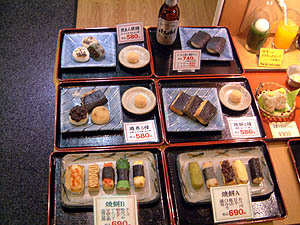 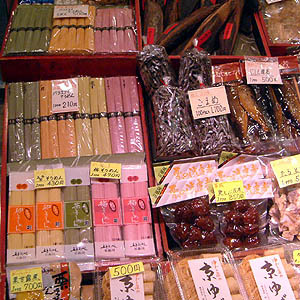 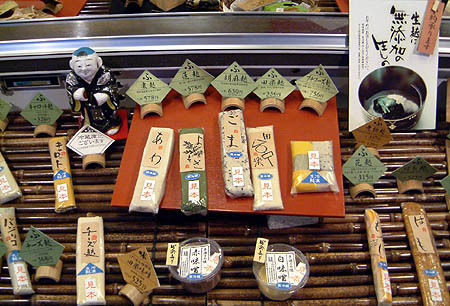 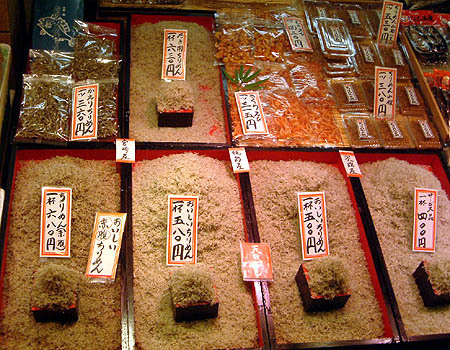 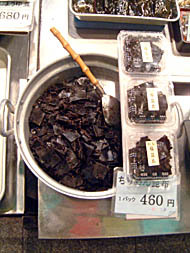 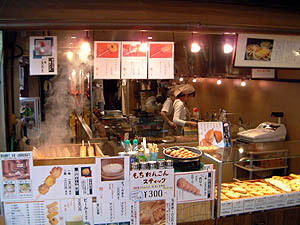 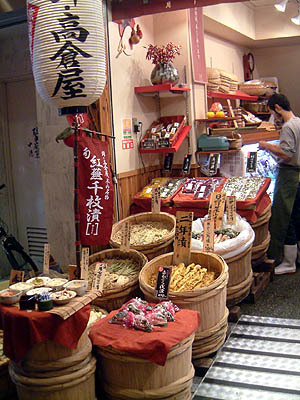 Kyoto is known for its many culinary delicacies, and you'll find most of them at Nishiki. 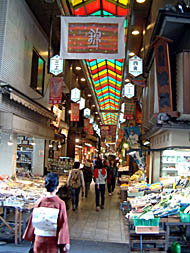 Meandering through the arcade one can easily be overwhelmed by the sights, the sounds and the smells of the market. 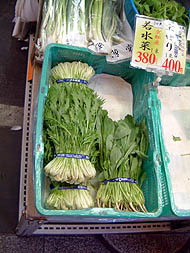 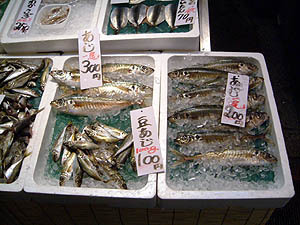 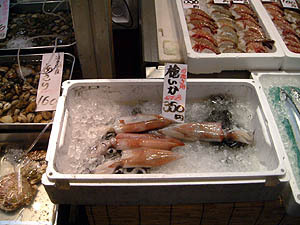 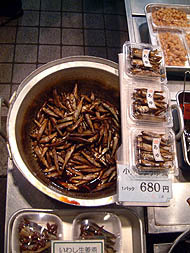 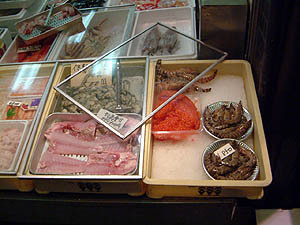 Fishmongers are barking out "Irasshaimase" (welcome! 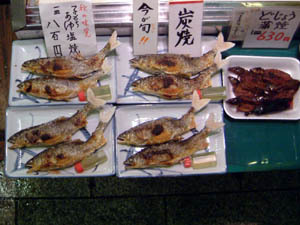 ), while the lively chatter of housewives provides an auditory backdrop. 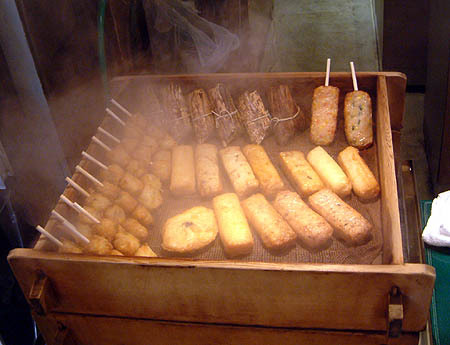 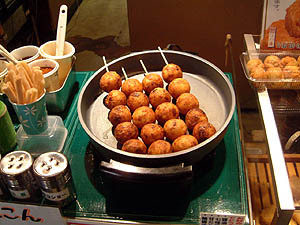 The enticing aromas of roasted tea and chestnuts waft through the air, competing with deep-fried soy milk doughnuts and freshly grilled unagi. 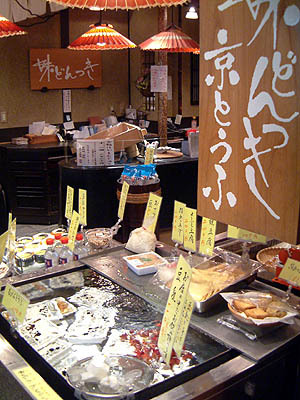 The sensory input may be intense, but a trip to Nishiki is a must for any food afficianado visiting Kyoto. 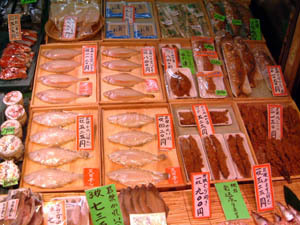 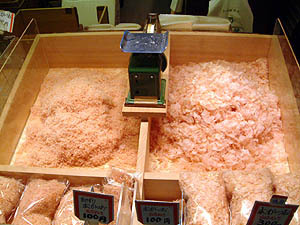 While the massive Tsukiji market in Tokyo can be confusing and exhausting, Nishiki is more human in scale. 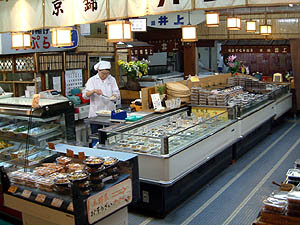 The narrow shopping arcade is only 400 meters in length, with just over 100 vendors. 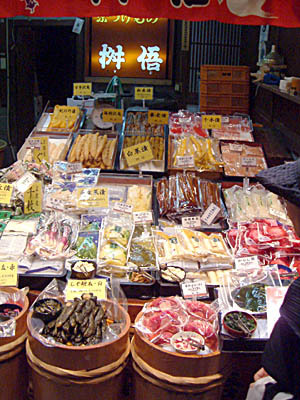 The history of the market goes back 400 years, and many of the stores you'll see have been here through several generations. 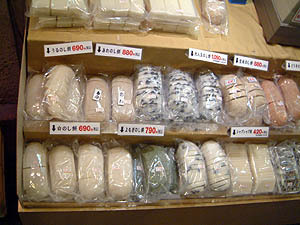 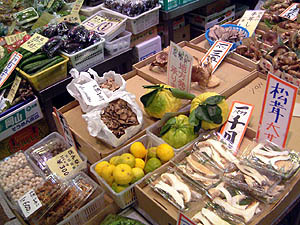 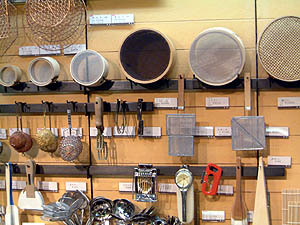 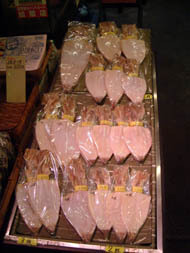 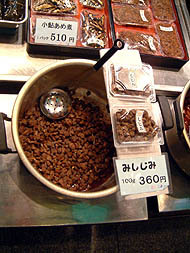 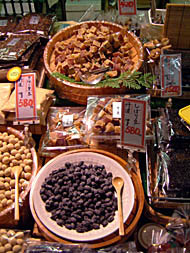 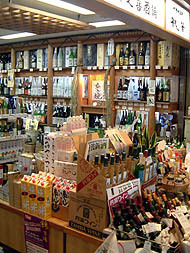 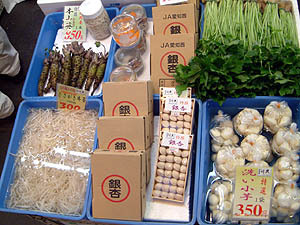 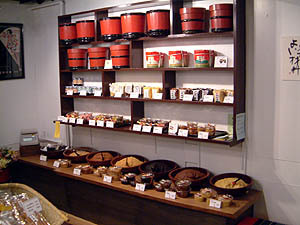 And unlike department store food floors, with their gourmet food products from around the world, almost everything you'll find at Nishiki is locally produced and procured.